Your Draught and Noise Blocker in One. Sick of traffic noise? Are you living through extremely cold winters and hot summers? 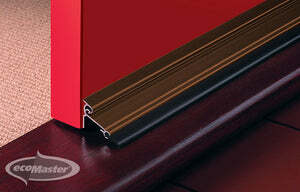 Redeem your comfort by installing RP78 Perimeter Seal on your doors! A draught and acoustic door seal rolled into one, the RP78 Perimeter Seal will help restore/boost the quiet and thermal comfort in your home by creating a tight seal around your aluminium and framed doors. The RP78 is an architectural quality, aluminium perimeter seal with a silicon rubber gasket. 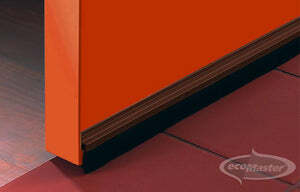 This special door seal works by sealing the gap between the sides and top of the door. 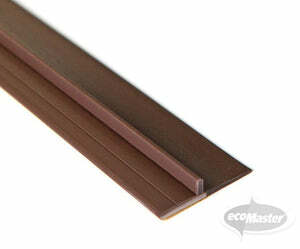 It can be cut to fit the specific dimensions of your door during installation. In this video, ecoMaster Chief Technical Officer Maurice Beinat explains how the RP78 Perimeter Seal works and how it is installed.